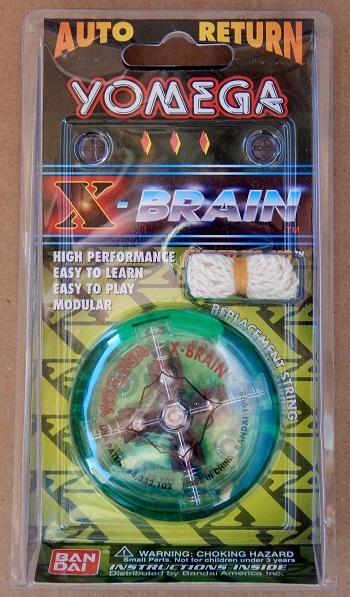 A Yomega Brain yo-yo sold under the Bandai America name. 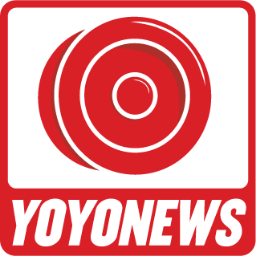 "Hyper Yo-Yo" is used on the packaging. This model uses an "X" configuration centrifugal clutch mechanism. Comes with one extra string. The traditional Yomega Brain uses only two ballbearings in the clutch. The Australian Black Mamba yo-yo uses three ballbearings.